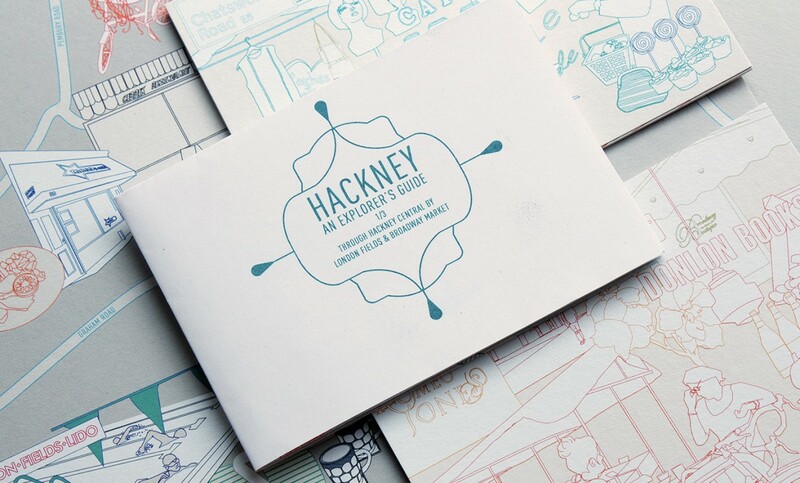 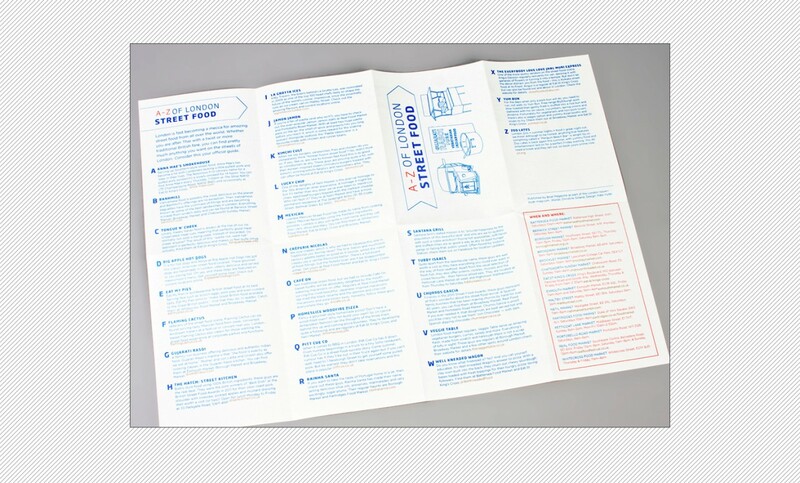 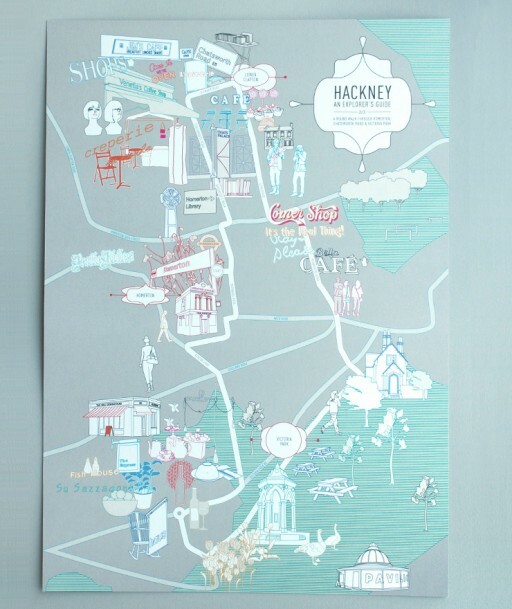 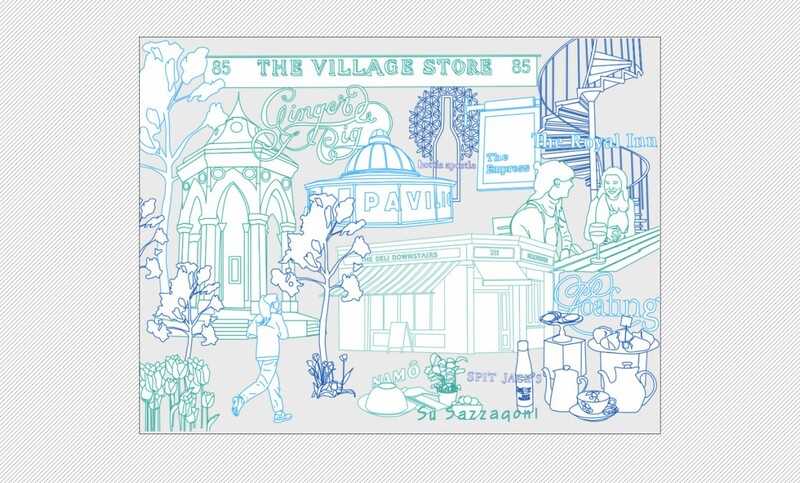 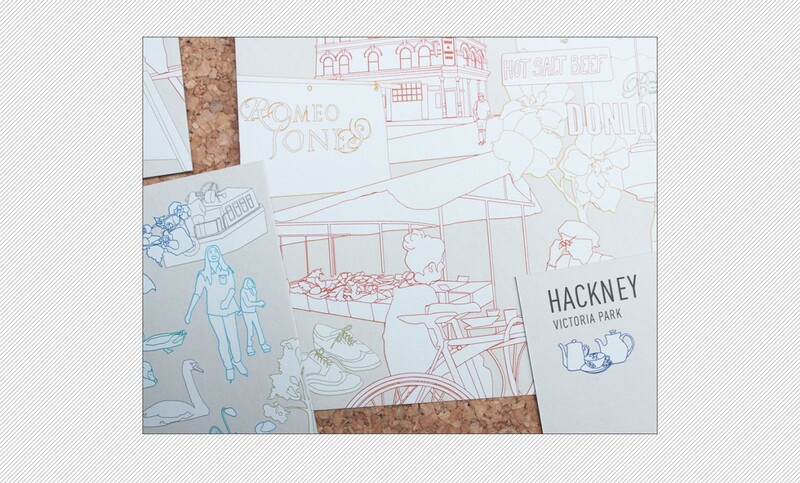 'Walking the Page: A Tourists Guide to Hackney' was a personal project initiated before the 2012 Olympics. 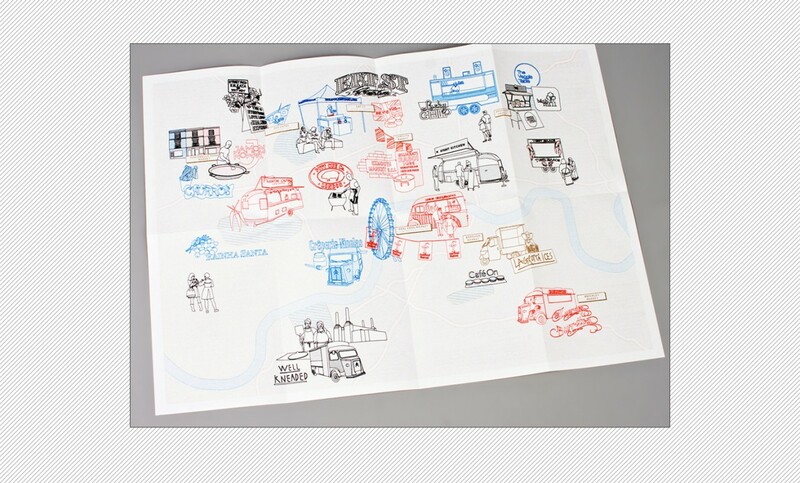 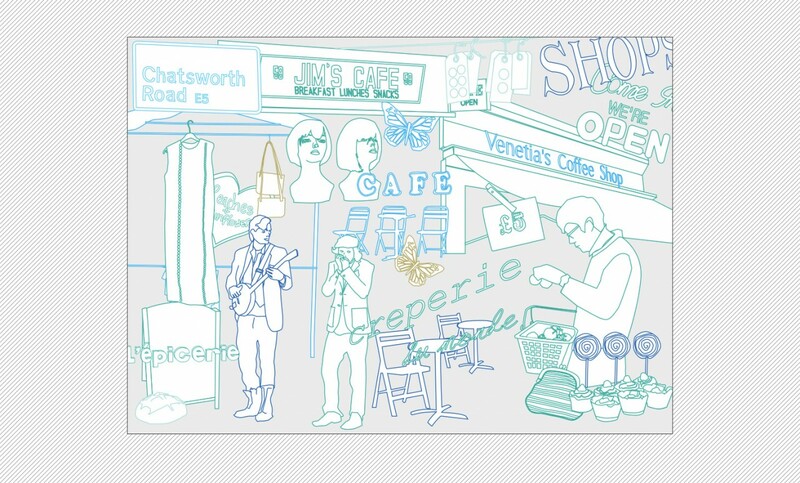 Three walking tours were described through an lllustrated souvenir poster, folding map and set of souvenir postcards. 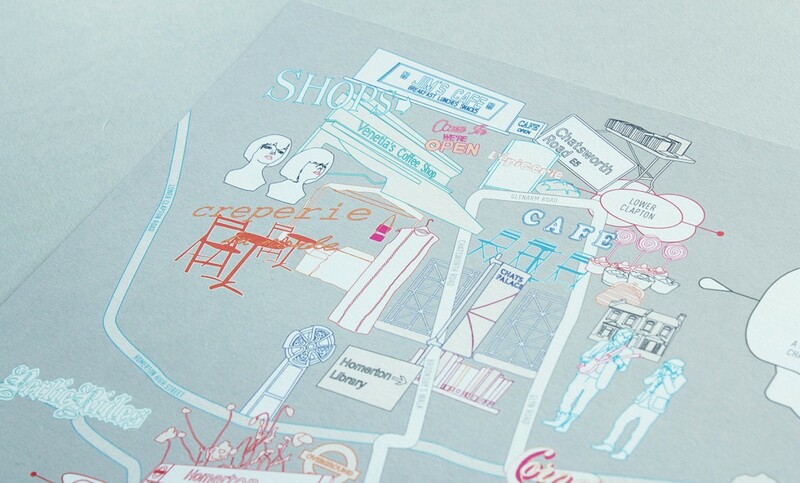 The pieces were printed in two methods - the posters and cards digitally, using white ink on GFSmith Colorplan, the fold-out posters on two-colour risograph. 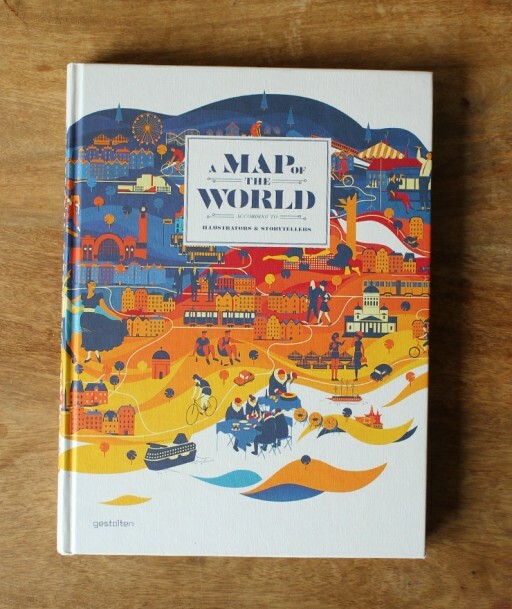 This was published in Gestalten's book 'A Map of The World'. 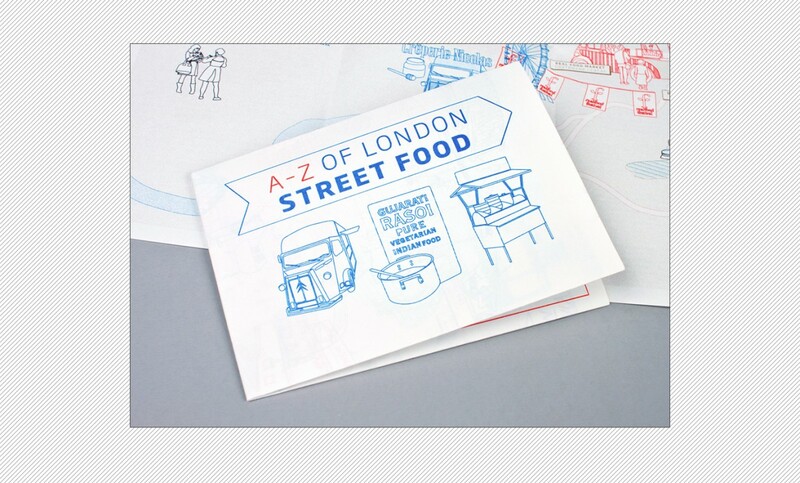 Following the production of these pieces I was commissioned to create the A-Z London Street Food Map for Boat Magazine who were producing an issue focused on London. 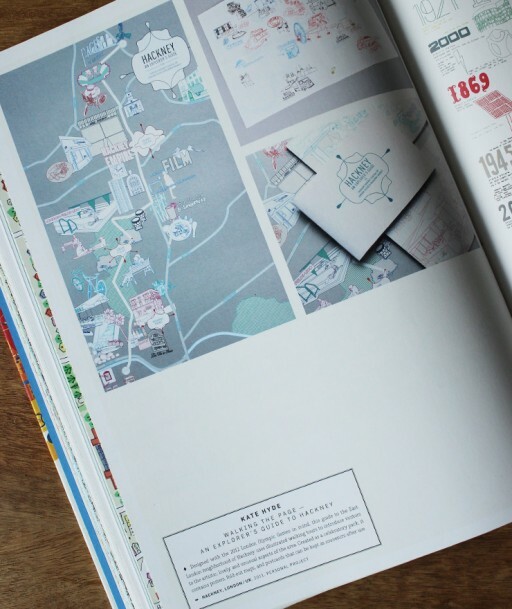 This and the personal project were selected for showcase in the Gestalten book 'A Map of the World'.